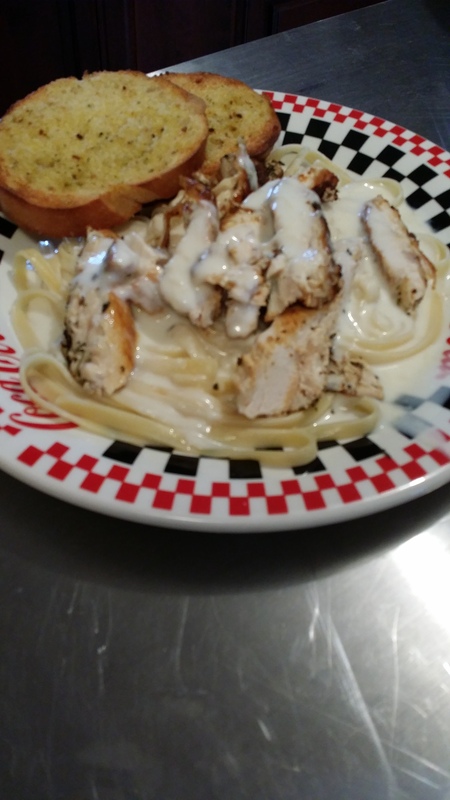 We serve this over fettucini noodles and grilled chicken (I use Italian seasoning on the chicken.) Of course, don’t forget the garlic bread! Buon Appetito!